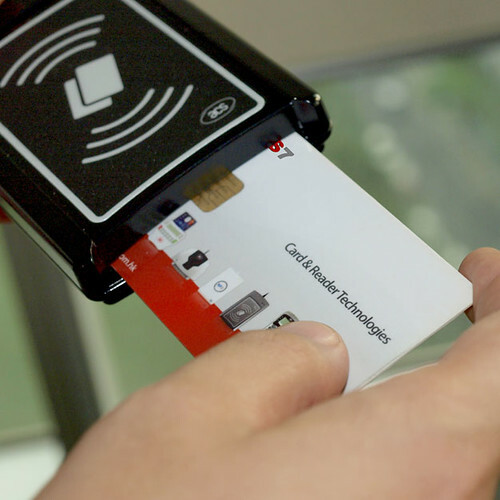 The ACOS7 dual-interface smart card is an all-in-one card that has been certified by the Ministry of Construction (MoC) standard in China. It addresses the requirements of AFC (Automated Fare Collection) applications and infrastructure projects worldwide, and can also be applied to facilitate secure and cashless payment in multi-application systems. Compliant with ISO 7816, ISO 14443, and supportive of e-Deposit and e-Purse transactions, ACOS7 is an ideal choice for the world transportation market. 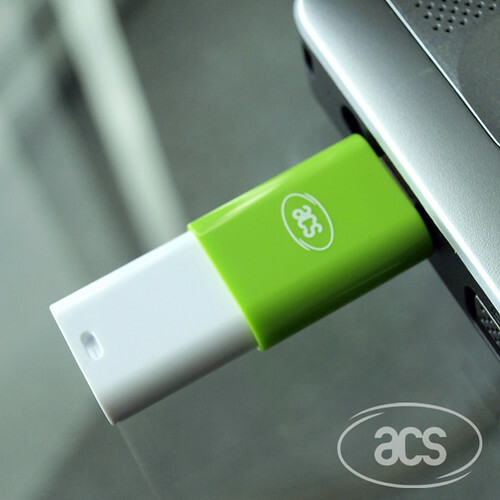 CryptoMate64 is a lightweight USB token that provides a strong authentication solution. 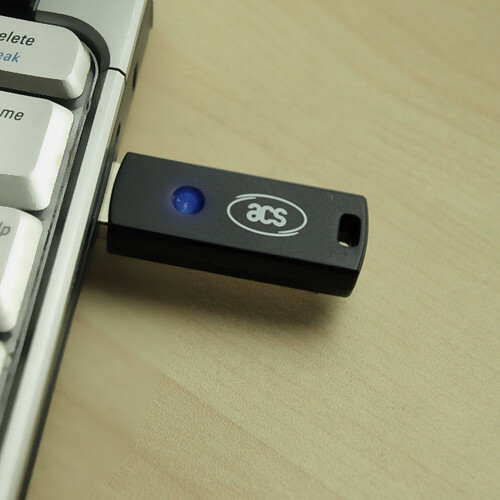 With a weight of only 6g, it is the most secure and portable cryptographic USB token in the market. CryptoMate64 enables users to perform digital signature, email encryption, online payments, Windows log-on and other Public Key Infrastructure (PKI) applications. Cryptomate64 has a built-in ACOS5-64 Smart Card IC where all cryptographic operations, such as RSA (Up to 4096bits), SHA-1, SHA-256, AES-128/ 192/ 256 and 3K 3DES, are performed (rather than in the PC or terminal), ensuring that all sensitive credentials protected by cryptographic keys cannot be hacked or sniffed.